this image on the left has been lopsided in the frame for quite some time. I'm also sick of looking at it. 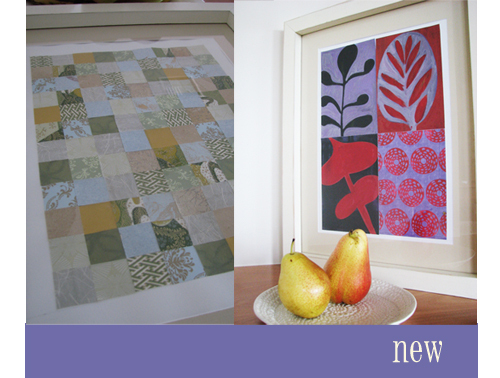 I created the 'mosaic' with various papers as a colour study some years ago. The frame sits over the control panel of the air conditioner. The numskull who put the control panel on the wall thought ...or didn't think....that it would be good to have it right in the middle. Or perhaps this person actually was thinking ahead and purposely decided to put it there so a painting could be placed over it. Anyway, I decided to make a change. When I'm not in russian doll mode or bird mode I seem to be loving leaves and pods. I wonder how long I will like this one for?? well my eyes are on the mend now. Still a little dry and itchy, but I'm all good to go. I've been sewing instead of sitting at my computer which has been lovely. 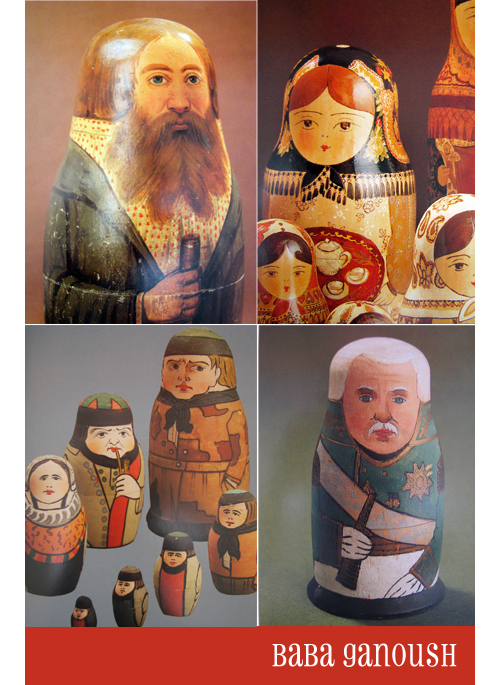 I sat down and made some more soft matryoshka dolls. I have yet to make some with bases, but for now I have gone with this design. I have decided to add these to my shop some time soon with some others that are still on the table ready to be sewn together. I've combined a number of techniques such as hand embroidery, free motion machine stitching and drawing directly onto the linen. I have conjunctivitis so I am giving my eyes a rest for a little while. I'll be watching the birds and admiring the winter trees. Catch you later. 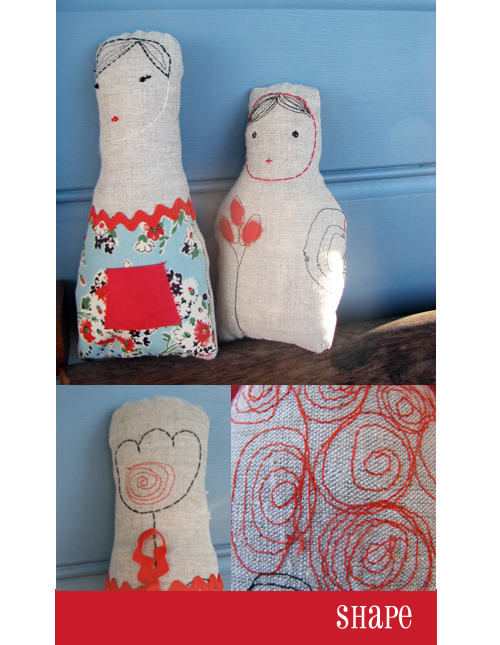 I just wanted to say thank you to all those who commented on my dolls and emailed with some very very useful tips. I am at the next stage of development and really feel that I am getting the softie/plush whatever you want to call it, making process to a point where I am happy with my results. I now want to make these dolls stand up. The smallest one is, but the sewing was completed by hand and I need now to work on this part. Don't you love the fabric that I have used. 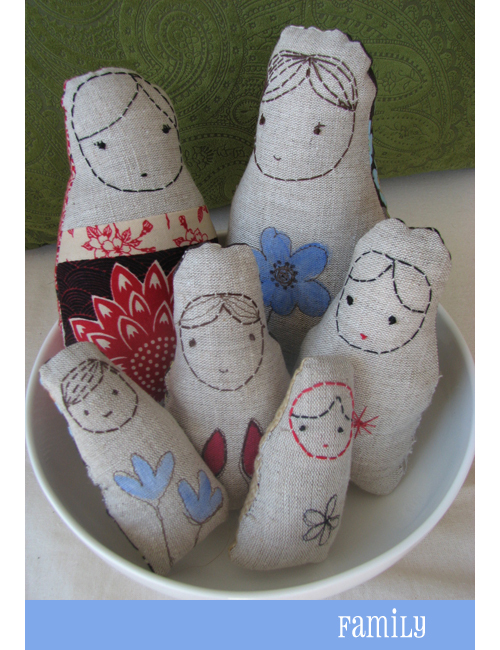 It is a Kiku Japanese fabric, which has also made me start to to love kokeshi dolls. I'm now afraid I'm turning into one of those odd collectable types of people whose house will be filled with small dust collectors! 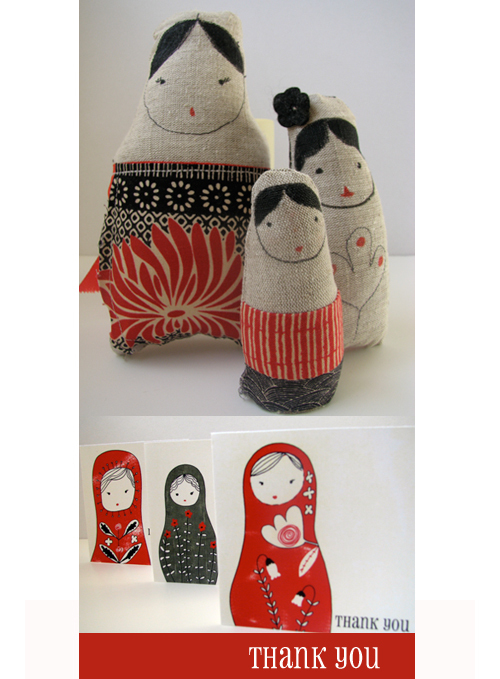 I have also created some new greeting cards that are in the shop, and because I am in the red and black mode at the moment I have almost completed the painting of some wooden dolls which will be also for sale. This will be a set of 5. So, dinner is burning and I really must go. I love it when little kids get their words mixed up. Mr A: Mummy. What are you doing? Me: Painting. Aren't you meant to be having a rest in your room? Mr A: I feel too sick to lie down. Mummy? Mr A: Can I paint a baba ganoush doll too? Here are some I have just been admiring in a new book I purchased. I've been working on some more bird artwork recently. Where we live there are plenty of bird varieties and there are always a lovely array of feathered friends visiting our backyard at various times of the day. 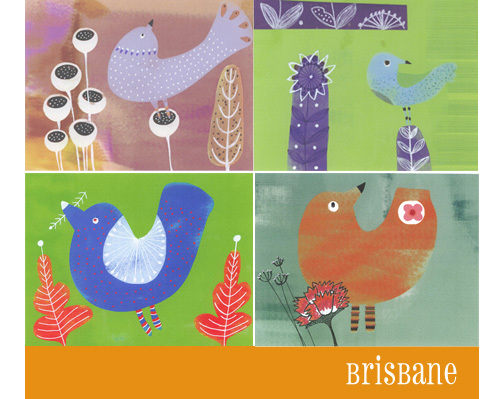 So the Brisbane Bird Series was an appropriate name for these original artworks.Some pieces have been sold already, but there are a few left in my Etsy Shop or you can see them in the collection. Just click on the tabs to the left. 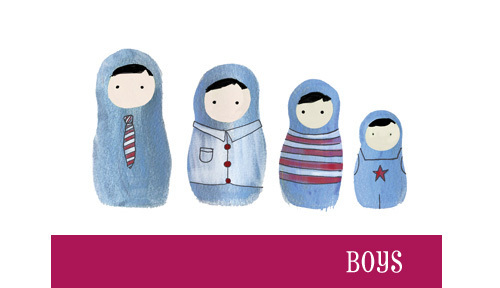 because little boys should have cute things too. Available print for sale in my shop. It is a small print (A5). 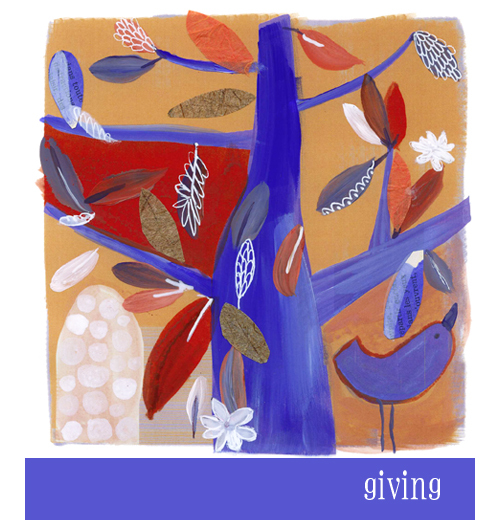 Thought it would be nice to give to a mum who has had her second or third or fourth boy. I also suggest buying a gold medal as a gift for her too. But I don't think they sell them on Etsy. Never squeeze your paint tubes too hard. 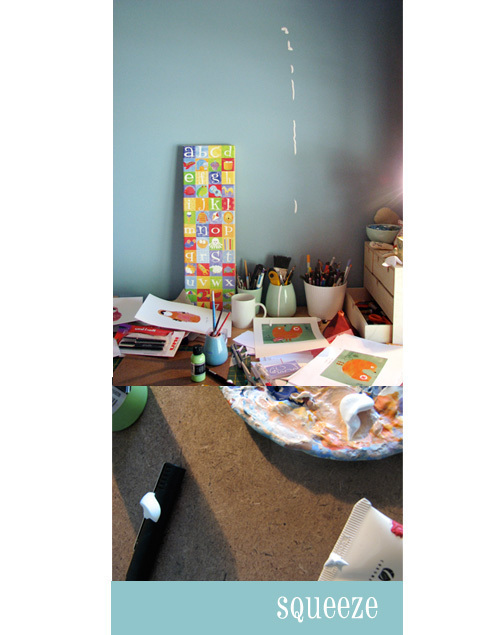 Result:: paint is likely to shoot out of the bottom end of the tube causing much mess on newly painted walls. Always place lids back onto tubes and keep opening very clean so that pressure does not build up in the tube whilst squeezing paint out. we live in one of the warmer parts of the world. Wet, sticky hot summers and mild winters. When it drops below 16 degrees celcius here, the locals start to complain about how cold it is. And so far this season we have had a few of those days...I'm loving it. As much as we STILL need rain, we are very lucky that the days are full of sunshine and crisp, blue skies. So yesterday we ventured to a new park but I under-estimated the icy winds so we didn't really rug up enough. 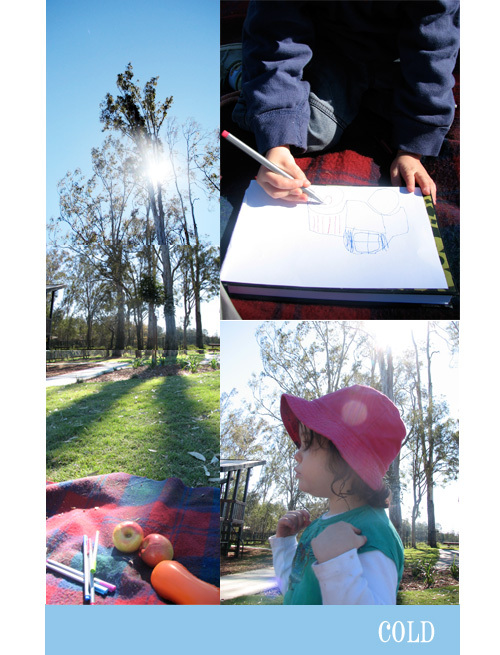 I thought I would take some paper and pens to draw with so while the kids played I would sit in the sun and sketch. Except Mr A is like me and could easily draw and paint all day long. As you can see here, it was nicer sitting with mum on the rug and using her sketch book and her pens instead of whizzing down a slide. Could have stayed home really. But at least we found a new park to play at.